The McGlashan-Nickerson House in Calais, which is owned by the National Park Service, is listed on the National Register of Historic Places. The park service has said that if it cannot find someone to remove the house, which overlooks the St. Croix International Historic Site, it likely will demolish it. The McGlashan-Nickerson House in Calais, which is owned by the National Park Service, is listed on the National Register of Historic Places. 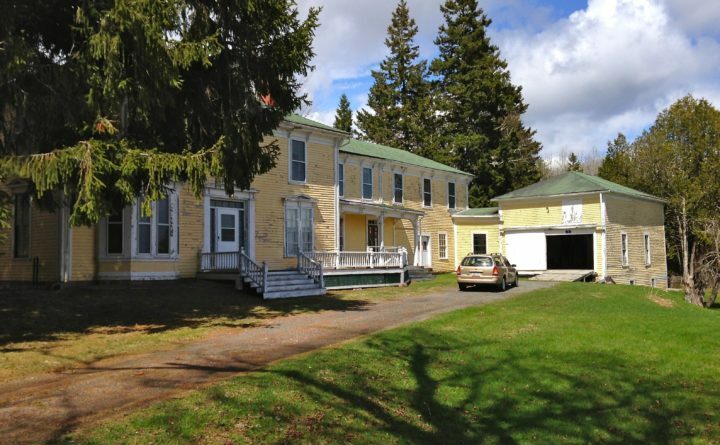 The park service has said that if it cannot find someone to remove the house, which overlooks the St. Croix International Historic Site, that it likely will demolish it. 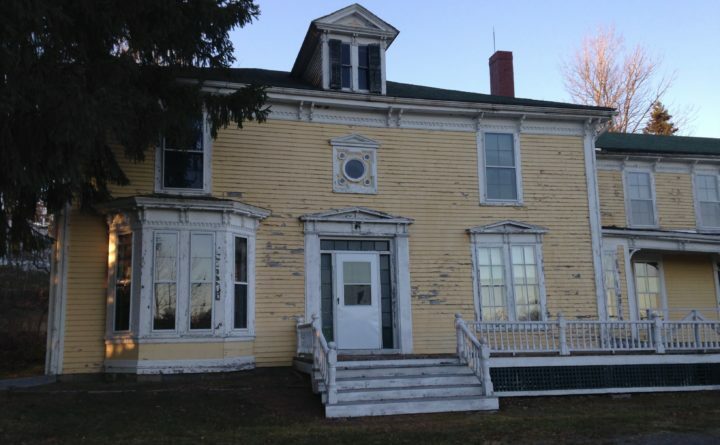 Maine historic preservationists and the National Park Service are at odds over what to do with a 135-year-old house adjacent to the St. Croix Island International Historic Site in Calais. The McGlashan-Nickerson House, which is listed on the National Register of Historic Places, was used by the National Park Service for several years as an administration building for the adjacent historic site before a new visitors center was built in 2014. Now it wants someone to volunteer to move the house off the property in the Red Beach neighborhood or demolish it if no one steps forward. Preservationists, however, would rather see the park service restore the 5,400 square foot house and keep it where it is. The house is one of seven places statewide that the nonprofit group Maine Preservation has listed as the “most endangered” of 2018. Other places on the group’s list include the Vinalhaven home of late artist Robert Indiana and working waterfront properties in Boothbay Harbor. In a statement posted on its website about the Calais property, the group said the National Park Service oversees the National Register of Historic Places program and should not demolish a house listed in the register. “Sadly, NPS had already stopped painting and repairing the historic residence abdicating its mission to maintain the property,” Maine Preservation officials wrote in the statement. According to Mohney, the house was placed on the National Register of Historic Places in 1990 when it was still occupied by its prior owner. The National Park Service acquired the house and 6 acres it sits on in 2000 and used it as an administrative building for the historic site from 2005 through 2014. In an environmental assessment of the property released last month, the park service says it has spent more than $100,000 on the house to address some lead paint issues and repair the crumbling foundation, gutters and porch. But it needs more work and has no historical relevance to Saint Croix Island, which is one of the places where Europeans first tried to settle in North America in the early 17th century. “The house still requires more than $1,000,000 in stabilization and rehabilitation work,” park service officials wrote in the assessment. Needed repairs “at a minimum” include replacing the porch, roof and shutters; fixing most of the windows; containing or abating lead paint inside and outside; treating airborne radon inside; replacing the furnace; mitigating mold; and repainting, they added. Sarah Hansen, Maine Preservation’s real estate manager, said on Monday the group disputes the park service’s $1 million estimate for rehabilitating the house. She did not have an alternate estimate but said Maine Preservation does not think the cost would “come close” to $1 million. Hansen said the park’s explanation for wanting to remove the house doesn’t make sense. The land where the park service has built the small visitors center and where a trail leads to a roofed shelter that overlooks St. Croix Island — which itself is not open to the public — is not historically significant. Plus, there is a second adjacent house listed on the National Register of Historic Places, the privately owned Joshua Pettegrove House, which also overlooks the visitors center and trail. “We’re not clear why [the McGlashan-Nickerson House] can’t also be privately owned,” Hansen said. Christie Anastasia, spokeswoman for Acadia National Park, which administers the site, said that the operation there has a “fairly small” budget and does not have any full-time, year-round employees. Spending significant amounts of money on a house that is not relevant to the history of St. Croix Island, which still has archaeological remains from the short-lived French settlement, is inconsistent with why the park service maintains a presence at Red Beach, she said. “There is no overlap between [the house] and why the historic site was established,” she said. The park service would like to have the house moved but is not interested in getting rid of the parcel of land it sits on, Anastasia said. The park service wants to keep the parcel of land — and keep it undeveloped — as a buffer to the small peninsula where the interpretive trail is located and for possible future use. Anastasia said that the park service did receive two separate inquiries from people interested in acquiring the house and 2 acres it sits on, but that each inquiry ended up falling through. If either of those inquiries had worked out, the park service would have been OK with keeping the house where it is, but now it feels like that option has been exhausted. “The park service has been looking at lots of ways to keep it intact,” she said. The park service has not yet made any decision about what it will do with the house, Anastasia said. The public can submit comments online about the assessment through the end of November. The house will be open to the public for viewing from 3 to 6:30 p.m. Monday, Nov. 19, she added.